I was updating Xcode and macOS High Sierra at the same time. 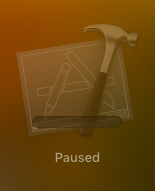 The OS restarted and then Xcode was in update "paused" state. I tried but couldn't restart/resume it so I deleted the app hoping it would be fixed. Now the app is removed but I still have that icon in my Launchpad. Open Launchpad, press and hold the Option key. If you see a cross icon towards the top left side of the app (Xcode) icon, click on it. Make sure that Xcode is really removed by checking for its absence in /Applications directory. Then restart your computer. Either one of the two steps should remove the icon from the Launchpad. You can install Xcode afresh thereafter. Not the answer you're looking for? Browse other questions tagged applications uninstall . How can I remove pending downloads in iTunes? How to remove Kaspersky icon on menu bar? Removing all of an Application?